Author's note: before reading this, you have to read Shattered book 1 to fully understand the story because there will be some flashbacks from the 1st book. If you have some questions, feel free to message me. 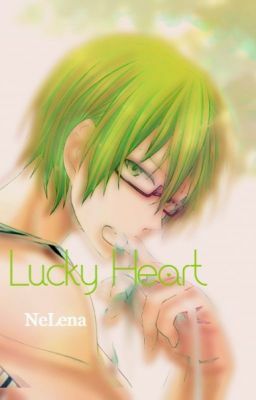 (Midorima x Reader) He got his Heart broken. Twice. He leaves and try to start a new. . Then, He met the girl whom the Luckiest but Unlucky to find True Love. ..... She's been known as the Lucky Girl because of her achievements and kindness towards others. She may be named as 'Lucky', but her luck in Love didn't come with it. She was cheated. Got betrayed. Her heart has been torn. Wanting to start, she left and make herself busy through work. then, she met him... Years already pass... yet, once again, she felt the pain again. Will she able to move on? Will she ever find her Lucky Love? Will He be the Lucky Guy for her? Just read and Find out! (A spin-off story of Shattered featuring Midorima Shintaro) Disclaimer: I do not own Kuroko no Basuke or any of its characters... All rights belong to Tadatoshi Fujimaki.